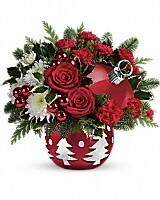 Teleflora's 'Tis The Season Bouquet in Los Angeles CA - California Floral Co.
'Tis the season to make them smile! 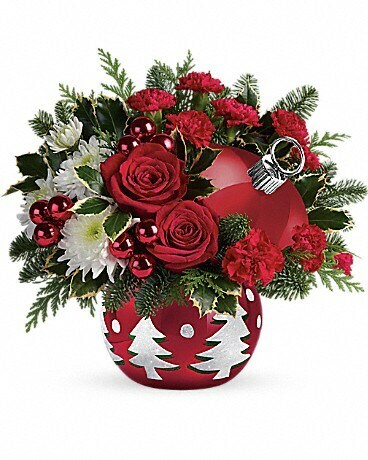 Festive red roses and fresh winter greens burst beautifully from this sparkling ceramic ornament jar - a delightful décor piece they'll enjoy for many Christmases to come! This festive, red ceramic ornament with hand-applied details is an exclusive keepsake from Teleflora's Flowers-in-a-Gift collection. 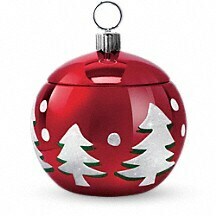 Add sparkle and shine to any holiday with this gorgeous collectible!